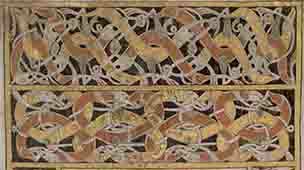 The Early Irish Manuscripts Project has completed the digitization of the 9th century Gospel book known as the Garland of Howth and it is now available online. For the first time in its history, the manuscript can be viewed by people around the world. Follow our blog about the project to learn more. This timely symposium is presented by two recent PhD graduates of TRIARC/the History of Art Department, Dr Kathryn Milligan (on behalf of TRIARC, Trinity College Dublin) and Dr Niamh NicGabhainn (on behalf of the University of Limerick). IRC Monastic Ireland: Landscape and Settlement Lectures in collaboration with the Royal Society of Antiquaries of Ireland. Staff, post-doctoral staff and alumni of the department are principal contributors to The Art and Architecture of Ireland, five volumes produced for the Royal Irish Academy and published by Yale University Press. The Irish Research Council has launched its 2015 Postgraduate Research Scholarship scheme. Both prospective and continuing PhD students can apply. If you want to apply for IRC-funding to do a PhD in TCD, please contact your intended supervisor as soon as possible. The IRC application deadline is 11 Feb 2015 but the internal TCD vetting deadline will be earlier. Prospective PhD students must also apply for admission to the relevant PhD programme through TCD's application portal, by 11 Feb 2015. The Department of History of Art and Architecture Annual Alumni Event will take place on Thursday 20th November at 7.30pm in the Emmet Lecture Theatre, Arts Building, Trinity College Dublin. 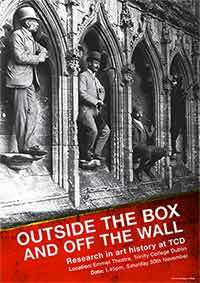 The lecture will be delivered by Professor Lawrence Nees of the Department of Art History at the University of Delaware. Professor Nees is one of the foremost scholars of the art of the early Middle Ages and will deliver a lecture entitled 'The Eagle Capitals in the Dome of the Rock in Jerusalem'. Alumni and guests are invited to attend a wine reception following the lecture. Professor Nees is author of the standard textbook on the art of the early Middle Ages, Early Medieval Art, 300-1000, together with The Gundohinus Gospels; From Justinian to Charlemagne: European Art, A.D. 565-787, and, A Tainted Mantle: Hercules and the Classical Tradition at the Carolingian Court. He will be in Ireland together with a number of other internationally renowned art historians to celebrate the launch of the Royal Irish Academy Art and Architecture of Ireland, and has kindly agreed to give what promises to be an innovative and exciting talk at TCD. 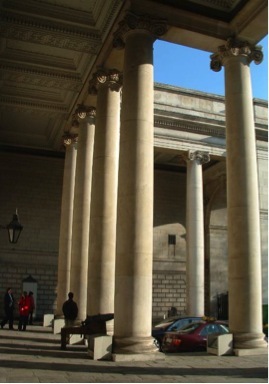 On Tuesday 28th October at 6.45pm we are launching the GradLink Mentoring Programme in the Long Room Hub, TCD for Junior Sophister students of the departments of Classics, History and History of Art and Architecture. The idea is that you can meet graduates of each of these departments who are now working in a range of different professions (e.g. Arts and Culture, Business, Communications, Law, Conservation and Heritage, Publishing, Education) and, if you choose, you can be mentored by one of the graduates. We will be launching GradLink with a wine reception where you can hear from all the graduates and mingle informally to learn about their experience and career pathways in their sectors. Mentoring involves meeting with a mentor 2-3 times over the coming months, to find out more about the work they do and discuss your own career development. It is an excellent opportunity to start thinking about your future and we are very grateful to our alumni for giving their time to participate in this programme. We realise that not everyone will want to be mentored, but we would encourage all JS students to come along to the launch and find out what graduates of Classics, History and History of Art and Architecture are now doing from a career point of view and their career paths so far. For those of you who are interested in being mentored, we will also explain the sign-up process and will arrange meetings for the following week to allocate mentors. The mentors can help you with issues such as researching particular careers, reviewing your CV/ LinkedIn profile, finding jobs that are not advertised, and practising job interviews and networking. This should be a very enjoyable experience. We look forward to meeting you at the launch and hope you benefit from the experience of our School's alumni. The Department of History of Art and Architecture participated in a number of events for Heritage Week. On Thursday August 28th Ellen Rowley, White Post-doctoral fellow at TRIARC, in conjunction with Dublin City Council's Heritage Department, led a "School Bus Tour of Brutalist Buildings" culminating in a lecture at St Patrick's College, Drumcondra. Twenty members of the public were transported around Brutalist education buildings in Dublin city and suburbs. On Wednesday August 27th Eddie McParland, Christine Casey, Melanie Hayes (doctoral candidate) and Myles McKenna(Recent graduate) gave talks on the architecture of Sir Edward Lovett Pearce at a symposium organised by Dublin City Libraries and Dublin City Council Heritage Department, held in the former House of Lords in the Bank of Ireland, College Green. Christine Casey and Conor Lucey convened a session on 'architects, craftsmen and the decorative interior' at the biannual conference of the European Architectural History Network held at the Castello di Valentino in Turin. The theme drew papers on Italian, Croatian and Islamic topics. Ellen Rowley delivered a paper on the catholic nature of Dublin's suburban development in the thematic session on 'bread and butter, everyday architecture'. The Department of History of Art and Architecture and TRIARC with the support of The Centre for Gender and Women's Studies (TCD) and the TCD Equality office presents Shadows and Lights; Aspects of Irish Art Study day in honour of Catherine Marshall. The daylong event will take place on International Women's day, Saturday 8th March 2014, in the Robert Emmet theatre, TCD from 10am to 4.30pm. The 'Shadow and lights; Women in Irish visual culture' discussion series, now in its third year, will hold a study day in honour of Catherine Marshall, joint editor of 20th Century Ireland, Dictionary of Irish Art & Architecture (Royal Irish Academy, 2014), former Head of Collections Irish Museum of Modern Art (IMMA) and former lecturer in the History of Art (TCD). Papers will be delivered by invited specialists in visual cultural studies and will feature topics inspired by Catherine's important contribution to Irish art. The Department will host a special event for alumni and their guests on Saturday 30th November 2013 in the Emmet Theatre, TCD to celebrate the research activities of staff, research fellows and emeritus staff. A series of short research papers will be presented from 2-4pm. Registration will begin at 1.30pm with the launch of proceedings at 1.45pm. The event will be followed by a wine reception. Published by ARLIS UK & Ireland, 2013. Arlis UK & Ireland, the Art Libraries Society, has undertaken to produce illustrated and informative city guides for researchers and scholars who wish to pursue studies in art history and all aspects of art. Guides to the art libraries of Leeds and Edinburgh have already been completed and in 2013, it was decided to provide an 'Art Researchers' Guide to Dublin.' 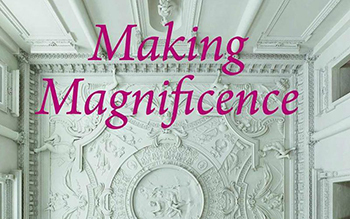 Christine Casey, Head of the Department of History of Art and Architecture, has written an introduction to the volume which provides an overview of the range and quality of the holdings in museums, galleries, libraries and archives in Dublin. Ruth Sheehy, Librarian, has written the entries on the Department of the History of Art & Architecture Library and Reading Room as well as the extensive facilities in TRIARC, Irish Art Research Centre. An entry on The Trinity College Art Collections has been provided by Catherine Giltrap, Curator of the College collections and a graduate of the Department. As part of the 'Shadow and lights; Women in Irish visual culture' discussion series, now in its third year, the History of Art and Architecture Department will hold a study day in honour of Catherine Marshall, joint editor of 20th Century Ireland, Dictionary of Irish Art & Architecture (Royal Irish Academy, 2014), former Head of Collections Irish Museum of Modern Art (IMMA) and former lecturer in the History of Art (TCD). The daylong event will take place on International women's day, Saturday 8th March 2014, in the Robert Emmet theatre, TCD. Papers will be delivered by invited specialists in visual cultural studies and will feature topics inspired by Catherine's important contribution to art historical scholarship, curatorship and gender studies in Ireland. A programme will be posted on the History of Art and Architecture department website in due course. 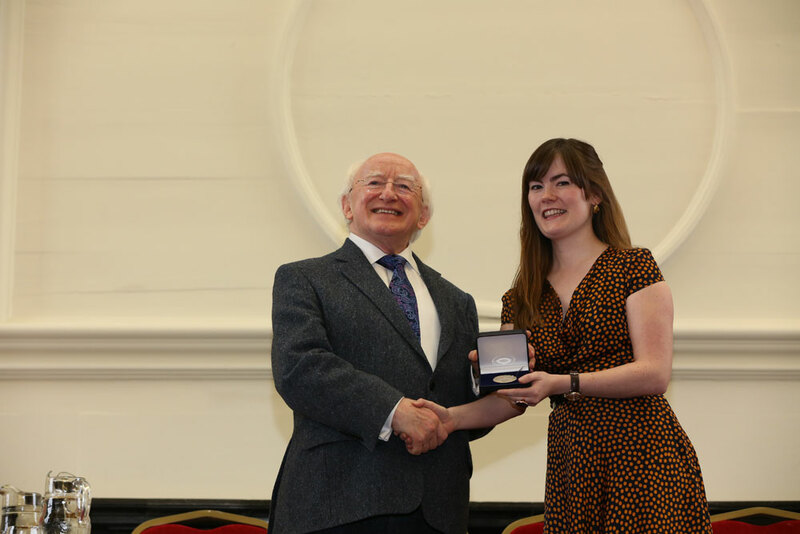 Sorcha Ni Lideadha, a recent graduate of History of Art, Trinity College Dublin, was one of the thirty-nine of the world's brightest students who were announced as winners in the 2012 Undergraduate Awards - an international academic awards programme that identifies top students across the globe through their innovative undergraduate research. Panels of international academics assessed the 2890 coursework entries that were received from students attending third level institutions across Ireland, the USA, UK and Canada, and selected two winners per academic category. The programme categories covered the A - Z of academic disciplines representing a cross section of leading edge undergraduate course work, and Sorcha's essay was selected for the category Modern Cultural Studies. The 39 UA winners were brought to Dublin for the UA Summit "a Davos for students" providing a forum for the exchange of ideas, from 7th - 10th November during which the President of Ireland, Michael D Higgins presented the awards at a special ceremony. Sorcha's essay, "Branding Dublin: 'Starchitects' negotiating city identity" was the subject of her final year dissertation under the supervision of Prof Christine Casey, Department of History of Art and Architecture in Trinity College Dublin. Winning entrants included four students in all from Trinity College Dublin, as well as from McGill University, Yale, Stanford, Princeton, University of Cambridge, St. Andrews University and University of Edinburgh. The Department of History of Art and Architecture Inaugural Alumni Event will take place on Wednesday 12th December at 7pm in the Emmet Lecture Theatre, Arts Building, Trinity College Dublin. The lecture will be delivered by Prof. Peter Cherry who last year discovered a previously unknown Velázquez portrait. Prof. Cherry's lecture is entitled 'Discovering Velázquez: kudos and cash'. Alumni are invited to attend a pre-lecture reception at 6pm in in Room 5083, 5th Floor, Arts Building. Congratulations to Gabija Purlyte, the first female student in the Department to be awarded the prestigious Foundation Scholarship awarded by Trinity College. Gabiya is a Senior Freshman in TSM History of Art & Architecture, and Sociology. Both the History of Art Dept and Triarc libraries have been greatly enhanced by a significant donation of books from Theo and Vivienne Waddington in February, 2012. 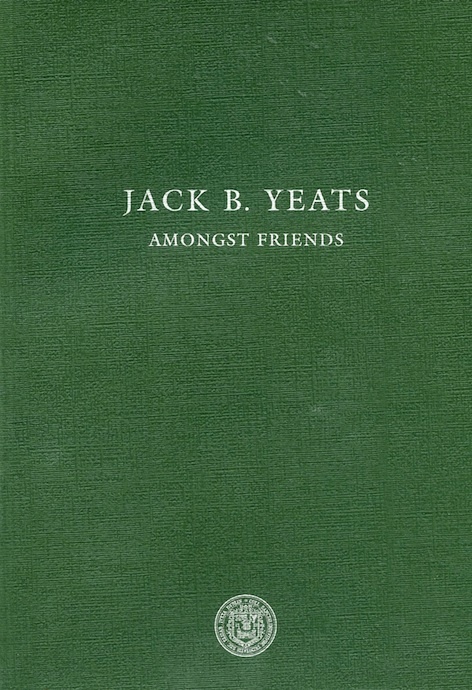 These include copies of the catalogue of the exhibition 'Jack B. Yeats Amongst Friends' in the Douglas Hyde Gallery, 2004, with essays by Theo Waddington, Bruce Arnold, and Yvonne Scott (Head of Department of History of Art), as well as rare catalogues of exhibitions of the work of Jack B. Yeats. 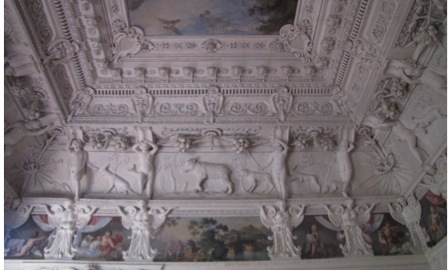 These are located in the Triarc Reading Room in the Provost's House Stables. In addition, a collection of 76 books which comprises monographs and exhibition catalogues on Modern British, European and American art is located in the History of Art Dept Reading Room. The newly accessioned Yeats material will be of particular interest to researchers including those studying for the MPhil in Irish Art History, as well as Senior Sophister Students who take the Irish Modern and Contemporary Art elective. With regard to the non-Irish material, students opting for the Modernism and Post-Modernism course will be interested in the new additions in the Departmental Book Collection. The Department of the History of Art and Architecture extend their warmest thanks to the donors; this gift will benefit students and researchers for years to come. Dr Peter Cherry, lecturer in the History of Art department, has discovered a previously unknown painting by Spanish artist Diego Velazquez. The 300-year-old portrait of a man was thought to belong to a minor 19th century British artist until Dr Cherry identified it as the work of the Spanish master. Velazquez is regarded as one of the greatest painters of all time and there are only 100 known paintings by him worldwide. The painting came to light when it was offered for sale among other more ordinary works at an auction in Oxford. A former student of Dr Cherry's works at the auction house, Bonham's, and when some details in the painting aroused interest, the auction house contacted Dr Cherry. Dr Cherry says he immediately thought the work could be that of Velazquez and the painting was withdrawn from auction. 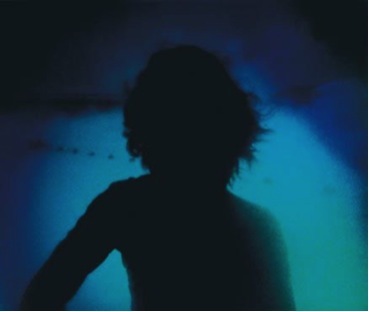 The Trinity lecturer confirmed his opinion after technical analysis; because of the technique Velazquez used, his sitters appear only as ghostly images under x-ray. The painting, is a portrait of a man in his 50s. 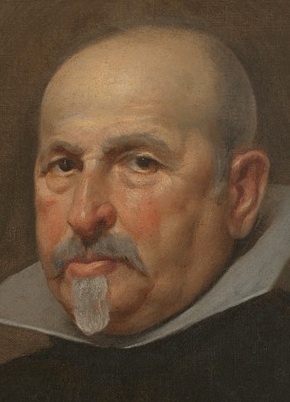 The identity of the sitter is unknown but Dr Cherry believes it was painted between 1631 and 1634 when Velazquez was in Italy or shortly after he returned to Spain. He says the sitter is not a nobleman and could be one of Velazquez's inner circle. Velazquez was a hugely influential painter, revered for his modernity by the French Impressionists. During his lifetime he was court painter to the kings of Spain. Many of his works, including his most famous, Las Meninas, hang in the Prado in Madrid. The History of Art Department has been awarded funding by the IRCHSS for a joint project with Dublin City Gallery/the Hugh Lane. Entitled Bacon's Books, the project involves creating a comprehensive searchable digital database of the entire collection of c. 1000 books owned by the artist at his death, and bequeathed to the DCGHL. 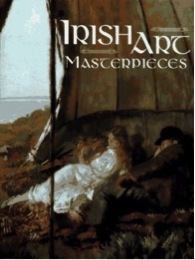 This resource will provide an invaluable platform for research into the relationship between literature and image in the work of a major Irish artist. The project will be led by Yvonne Scott (principal investigator) and project partner Barbara Dawson, Director of the DCGHL, while Prof. Nicolas Grene of the Department of English is a research associate and advisor. A symposium on the project theme is planned for Spring 2012. Dr Eimear O'Connor, Clare and Tony White Research Fellow at TRIARC has been appointed to the Board of the Irish Museum of Modern Art by Mary Hanafin, TD. 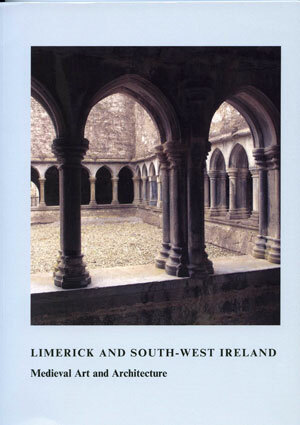 Most of the essays in this volume were presented as papers at the British Archaeological Association's annual conference, held in Limerick in 2008. The occasion provided an opportunity for British and Irish scholars to share ideas about a remarkable range of works that are not well known outside the country. There are articles on a wide range of subjects, including castles, churches, cloisters, stone carving, metalwork, wood carving, and stained glass. Five of the contributors are directly associated with the History of Art Department. In the 18th century Dublin grew spectacularly; in the last quarter of a century, understanding of that growth has increased enormously. 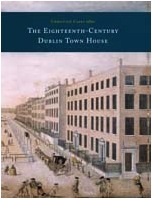 This book brings together a range of perspectives on the subject of the 18th-century Dublin town house, illuminating the political, economic and cultural activities of Dubliners, the resulting physical growth of the city and changing architectural manifestations. Some of the studies focus on questions of style and technique; others seek to relate the places in which people lodge to the lives they passed in them. The essays draw on an impressive variety of sources including archaeological investigations of sites and documentary evidence such as maps, leases, and family correspondence. 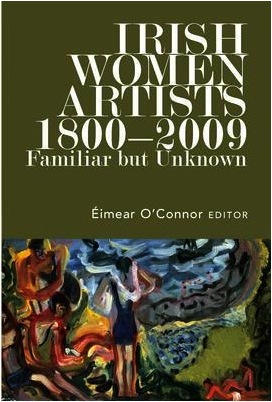 This collection of essays examines the life, career, work and context of familiar but previously little-known Irish women artists. It focuses on the work of women artists living in Ireland. The authors have produced essays that are hugely diverse in terms of content, method and theoretical issues. Some take a gendered point of view; others adopt a biographical and documentary, albeit interrogative, approach, while some question the construction and constriction of the canon of art, arguing that it is a patriarchal structure that has disallowed the inclusion of the work of women.